From my first iron/wedge fitting with Jack at Cool Cubs I knew that this was going to be an experience I have never experienced in golf club fitting!!! The technology and information cool clubs have available made this such a awesome fitting and learning experience for me on a whole new level. I originally went in thinking I wanted to try new Mizunos and Titleist irons/wedges but based on my angle of attack and swing style the Callaway Apex Pro and Callaway Mac Daddy 2 wedges came out to be the best option. I ended up going with the KBS Tour C taper shafts as recommended by Jack. 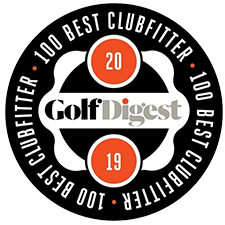 The clubs were here in under a week and they have been the best set of clubs I have ever played with and my distance/dispersion and consistency has improved. Shafts made a huge difference to this as I was playing a shaft that was no where near suited to my swing speed. My whole set now has correct yardage gaps and long irons especially. Moving on from this I also had my driver fitting done with Zane. This was more of a challenge because of working through some changes with my coach. We eventually got through it and I ended up with the Callaway Big Bertha alpha with the Fujikura Speeder shaft. This combo is amazing and my driving has improved and dispersion has already improved. Distance has increased a touch overall but with my average carry around 255/260 I’m more concerned with accuracy. The fantastic service these guys have provided me and the amazing results I have seen was worth every cent!!! Don’t cut corners if you take your golf seriously. Thanks for everything Zane and Jack at cool clubs, I’m sure I will see you boys soon. I appreciate everything you guys have done.